CLAUS WAIDTLØW – The official website of saxophonist and composer Claus Waidtløw. ”(…) this album should be on interest to all jazz connoisseurs the world over. The special European flavor, elegance and grace simple place it ahead of most other mainstream recordings originating from across the pond. A delightful gem!” (Adam Baruch). Prolific, adventurous and a true virtuoso and visionary, Claus Waidtløw has been one of the most highly respected jazz musicians in Denmark for nearly two decades. Originally an alto saxophonist, Waidtløw is primarily known today for his tenor work and audacious compositional sense. Internationally celebrated, Waidtløw has long been one of the leading trendsetters in European jazz. Born in 1967 and a presence on the Danish music scene since 1989. He is educated from the Rhythmic Conservatorium in Copenhagen, where he also studied modern composition with Bob Brookmeyer. In 1995 he won the international jazz competition in Gexto, Spain, with the group Science Fiction Quartet. 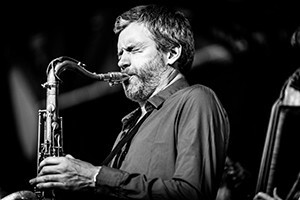 Both From the Story Book and Flavours present Waidtløw not only as a world-class saxophonist but also as a superb composer with advanced, contemporary sensibilities and a mastery of accessible melodic ideas. Said one reviewer, commenting on the eight tracks on From the Story Book, “Every single composition has a perfectly consistent and forward-moving story, which the listener will follow with great interest from the beginning to the end.” Although the music is always melodic and structured logically, Waidtløw has succeeded in mixing the complex with the simple. As a result, his music possesses profound substance but also a freshness and lightness that ensures that the expression of the artists’ concepts becomes neither too difficult nor unapproachable. Listening to Flavours confirms without a doubt that Claus Waidtløw is a supremely talented writer who brings a personal touch to all of his work. Acknowledgement of his compositional gifts has resulted in several grants through the years, including a two-year grant from the Danish Arts Foundation in 2001. 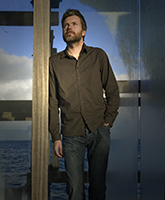 Waidtløw has written not only for small ensemble but also for big bands. As a big band composer he has been commissioned to compose for, among others, Aarhus Jazz Orchestra, the New Music Orchestra, Aarhus Art Ensemble and The Orchestra. In 2015 Waidtløw released the CD ”Playhouse”. It presents Waidtløw as a bigband composer, conductor and soloist. The album also feature the great Jeff Ballard on drums, along with the renowned Danish Bigband The Orchestra. The album won a Danish Music Award for “Best jazz composer of the year”. In 2011 Waidtløw did a big project with another great Danish band, the Klüvers Bigband, which also featured Jeff Ballard, along with Swedish pianist Lars Jansson and Danish percussionst Rune Olesen. In 2011 Waidtløw also toured for two weeks in the United States with the world-famous singer Kurt Elling and the Klüvers Big Band. The tour included a weeklong stay at New York’s Birdland, one of the world’s most legendary jazz clubs. During that same year Waidtløw performed at the famous jazz club Montmartre in Copenhagen, with bassist Eddie Gomez and pianist David Kikoski. Waidtløw has shown promise and ambition since he first appeared on the music scene. In 1998, Waidtløw toured Denmark with Carla Bley and Steve Swallow, as a part of the Jazz Visit program. Around 2000 Waidtløw began his successful longtime association with Winther. Waidtløw served as a regular member of Winther’s different groups during this period – they can be heard together on Winther’s CD, Walk the Walk, Talk the Talk (Stunt Records), from 2002. A high point of his work with Winther was a performance at the Copenhagen Jazz Festival, which also featured the legendary American drummer Billy Hart. In 2001 Waidtløw, together with pianist Nikolaj Hess and drummer Morten Lund, recorded Back and Forth (Music Mecca) in New York, with the prolific American bassist Christian McBride. In 1996 he was nominated for the Ben Webster Prize, the most significant jazz honor in Denmark. He has also contributed as a prolific sideman to more than 50 recordings, and has worked with such great artists as Toots Thielemanns, Eliane Elias, Kurt Elling, John Scofield, Eddie Gomez, Steve Swallow, Carla Bley, Christian McBride, Bill Stewart, Mulgrew Miller, Jeff Ballard, Dave Kikoski, Sam Yahell, Bob Brookmeyer, Maria Schneider and Billy Hart. 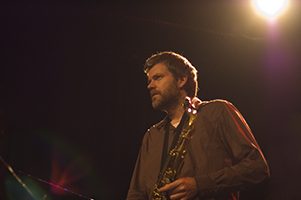 In addition to playing and writing music, Waidtløw currently teaches saxophone at the Danish National Academy of Music. A well-known educator, he is a permanent faculty member of the Engelsholms Vinter and Summer jazz camps. He has shared his teaching skills with such high-profile artists as Brad Mehldau, Jeff Ballard, Gretchen Parlato, Antonio Sanchez, Larry Granadier and Ben Monder. From 2006 to 2015 member of Aarhus Jazz Orchestra. NEW ALBUM OUT (JUNE 1, 2018): “NEW BEGINNING”. The album features Jacob Christoffersen, Jesper Bodilsen and Morten Lund. Guests: Lars Vissing (Trp), Kasper Wagner (Flute & Altosax) and Aske Drasbæk (Bassclarinet). Claus Waidtløw Quartet is lead by the Danish saxophonist Claus Waidtløw. The members of the Quartet – Waidtløw (saxophone), Jacob Christoffersen (piano), Jesper Bodilsen (bass) and Morten Lund (drums) – are among the finest and most acclaimed musicians in Denmark. Christoffersen is a member of singer Sinne Eeg´s various groups. Bodilsen and Lund has received international attention as a member of the great Italian pianist Stefano Bollani’s trio. New beginning – along with From the Story Book and Flavours – present Waidtløw not only as a world-class saxophonist but also as a superb composer with advanced, contemporary sensibilities and a mastery of accessible melodic ideas. 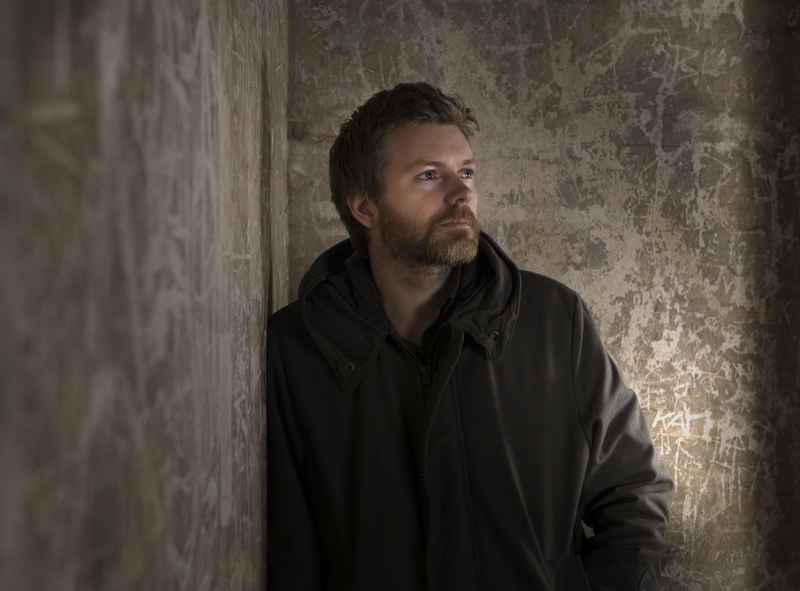 Said one reviewer, commenting on the eight tracks on From the Story Book, “Every single composition has a perfectly consistent and forward-moving story, which the listener will follow with great interest from the beginning to the end.” Although the music is always melodic and structured logically, Waidtløw has succeeded in mixing the complex with the simple. As a result, his music possesses profound substance but also a freshness and lightness that ensures that the expression of the artists’ concepts becomes neither too difficult nor unapproachable. The musicians in Claus Waidtløw Quartet know each other from lots of different constellations. When you listen to the group, you can easily hear that they enjoy playing together. One of the most acclaimed pianists in Denmark today – his broad and open approach to music makes him a most wanted sideman. Since 2008 he has been the pianist of the internationally acclaimed jazz singer Sinne Eeg. He has been recording and touring with her ever since – featuring on four of her albums and playing over 300 concerts worldwide as well as receiving two Danish Music Awards (Grammys). ​Recived the Ben Webster Price 2013. Internationally known as a member of the Italian pianist Stefano Bollani´s Trio. One of the most wanted sidemen in Denmark. Internationally known as a member of the Italian pianist Stefano Bollani´s Trio. One of the busyist drummers in Denmark. Recived the Ben Webster Price 2006. ”Waidtløw craft melodic stories that are much more than mere blowing tunes”. “All pieces highlight his gift to sketch a nuanced story within a melodic song. All stress his calm, elegant sense of leadership, his warm, full-bodies sound and his passionate emotions”. ”Hør blot Superheroes og Whisper, som jeg ikke tøver med at kalde for små mesterstykker, hvor arrangement og soli vælder af liv og selvstændighed midt i en moderne postbop, man troede ikke længere kunne overraske”. “En mesterlig skive – en utroligt vellykket musikalsk udladning af både glædestrålende energi og eftertænksom ro”. Niels Overgaard, Jazznyt: “Claus Waidtløw har med New beginning lavet et dansk jazzalbum i høj klasse”. “…Forbløffende så megen melodisk substans og kontinuitet der er i hans [Waidtløws] spil. Og så skader det jo ikke ligefrem, at holdet bag ham nærmest er sprudlende, ikke mindst Lund med et spil, der i udpræget grad forener det akkompagnerende og det angribende…. In 2015 Waidtløw released the CD ”Playhouse” (Gateway Music). It present Waidtløw as a bigband composer, conductor and soloist. The album also feature the great Jeff Ballard on drums, along with the renowned Danish Bigband The Orchestra. The CD was recorded at the Village Studio in Spring 2014, after a succesfull tour i Denmark. The CD was nominated in two categories at Danish Music Awards 2015: “Best album of the year” & “Best jazz composer of the year”. The album won the prize “Best jazz composer of the year”. In 2015 Waidtløw was also commissioned to write new music for a project with the Aarhus Jazz Orchestra. The project included five concerts and besides conducting the band Waidtløw was also featured as the main soloist. The tour also featured the great and renowned drummer, Adam Nussbaum. The band toured in Denmark in September 2015. The music was recorded live, and in 2016 it was released as Apples for Adam. In 2017 Waidtløw was invited to Hamburg to do a project with the renowned radioorchestra The Norddeutscher Rundfunk Bigband (The NDR Bigband). 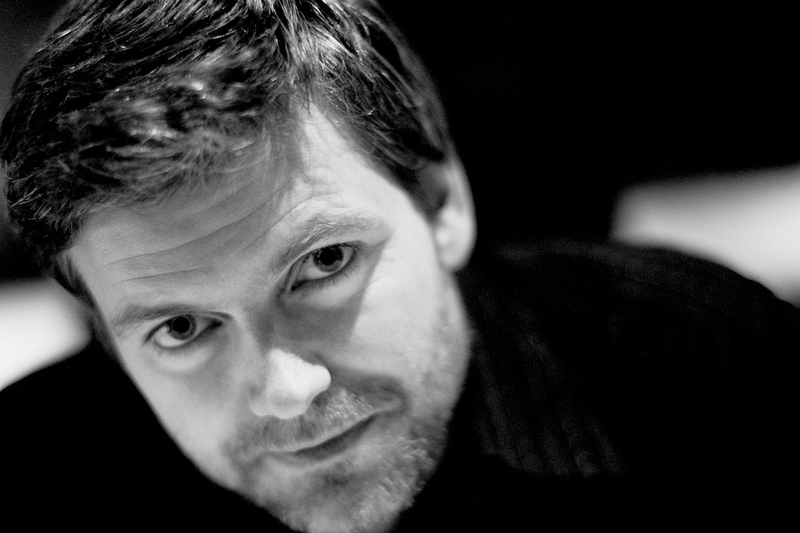 In 2011 Waidtløw was commissioned to write new music for the Klüvers Bigband. This project also featured Jeff Ballard, along with Swedish pianist Lars Jansson and Danish percussionst Rune Olesen. This was the first big Big Band project for Waidtløw. My bigband sheets are published by www.reallygoodmusic.com and available online. ”Med denne udgivelse står det nu klart for alle interesserede, at Double Rainbow og Playhouse, med deres fint afstemte strukturer og suveræne instrumentation, er væsentlige stykker i den danske bigband-litteratur”. ”…[Waidtløw] opbygger indtagende strukturer i lange baner alene ved at lade klangflader forskyde sig fra hinanden i latent vekslen eller ved at lade kontrapunkt sno sig virtuost fugalt i vertikal retning”. ”… de harmoniske skeletter, komponisten [Waidtløw] her bruger, danner fornemme afsæt for improvisation. Det nyder Lars Vissing, Steen Hansen, Henrik Gunde og hovedpersonen selv godt af. Deres evner står her i fuldt flor med meget velformuleret spil”. ”Claus Waidtløw træder selv i karakter på Morning in Banjul, der nok er pladens smukkeste nummer. På sopransaxen, sammen med Ballard og et helt big band sætter Claus Waidtløw en meget høj standard”. “Waidtløw får med denne plade dokumenteret, at han er i særklasse på saxofonen”. CLAUS WAIDTLØW: NEW BEGINNING (2018). DOUBLE DANISH MUSIC AWARD NOMINATED – FOR “BEST ALBUM OF THE YEAR” AND “BEST JAZZ COMPOSER OF THE YEAR”. WINNER IN THE CATEGORY: “BEST JAZZ COMPOSER OF THE YEAR”. 1/2 kl 21.00 – Mads Mathias “Celebrating Nat King Cole”, Hotel Skt. Petri. 2/2 kl 21.00 – Cæcilie Norby “Tribute to Nancy Wilson”, Hotel Skt. Petri. 3/2 kl 15.00 – Pistol trio (Waidtløw/Vadsholt/Andersen), Amagerbro jazzklub. 6/2 kl 21.30 – Love la Fontaine, Waidtløw/Campagnol/Fonnesbæk, La Fontaine. 9/2 kl 21.00 – Sasha Masakowski five, Paradise Jazz. 13/2 kl 21.00 – Pistol trio (Waidtløw/Vadsholt/Andersen), Christiania Jazzclub. 15/2 kl 21.00 – Waidtløw/Fischer/Schack/Templeton, La Fontaine. 17/2 kl 15.00 – Christina von Bülow/Claus Waidtløw “Celebrating Getz”, Holbæk Jazzklub. 19/2 kl 21.00 – Waidtløw, Møllerhøj m.fl., Bobi bar. 21/2 kl 21.00 – Acoustic Lounge, Divino, Espergærde. 22/2 kl 21.00 – Sinne Eeg “Tribute to Billie Holiday”, Hotel Skt. Petri. 23/2 kl 21.00 – Bobo Moreno “Tribute to Tony Bennett”, Hotel Skt. Petri.